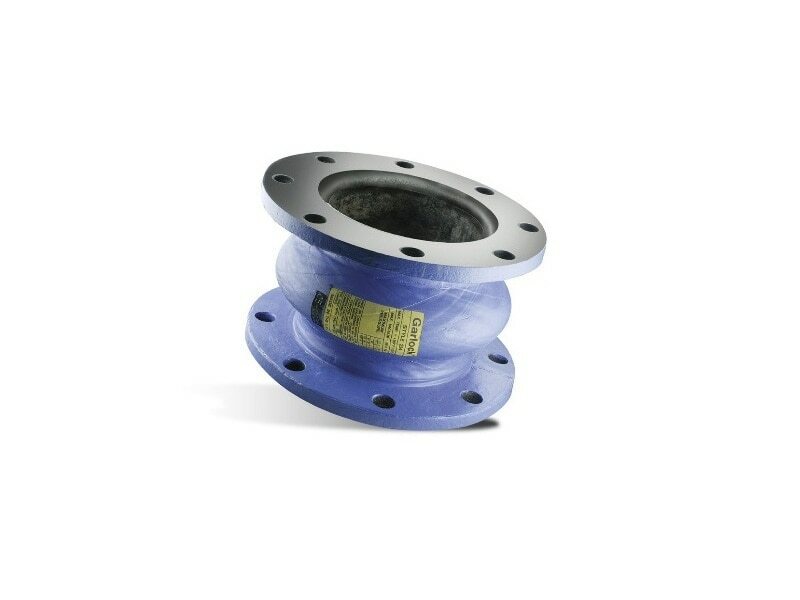 Garlock – a manufacturer of high-performance fluid sealing products – has launched ABRA-SHIELD™, a proprietary expansion joint liner material designed for abrasion resistance and sustainability in demanding high temperature operating conditions. As the newest addition to Garlock's family of abrasion resistant expansion joint materials, ABRA-SHIELD will join ABRA-LINE and Natural Rubber to provide a variety of liners that cater to increased abrasion protection. ABRA-SHIELD will be an option for use with a number of expansion joint products that Garlock offers – including styles 204, 206, 7250, 8400 and 9394. These uniquely constructed joints also provide high levels of protection from stress, misalignment, vibration, noise, shock and corrosion. "The abrasion resistant line of materials have been custom engineered for abrasive applications, and the benefits over alternatives in the marketplace is striking," said Tom Smith, product line manager of expansion joints. "ABRA-SHIELD is the next evolution in this level of protection by providing a higher media temperature range, which is a particularly important factor for the integrity and life of the joint." This performance in challenging environments will be advantageous for applications across a range of industries, including metals/minerals, oil/gas, power generation, pulp/paper, hydrocarbon processing, chemical processing, agrochemical, water/wastewater, mining and fertilizer. "We performed a test launch of ABRA-SHIELD to select customers in various industries and reaction to the product has been resoundingly positive," said Derek Hicks, applications and project lead, expansion joints at Garlock. "Results exceeded customer expectations – the value proposition of enhanced performance coupled with longer life in demanding applications has generated a lot of excitement and we're already responding to requests for wider ABRA-SHIELD implementation." These uniquely constructed joints provide high levels of protection from stress, misalignment, vibration, noise, shock and corrosion.